WASHINGTON – April 2, 2019 – Congress is working on a long-term flood insurance extension and, separately, the Federal Emergency Management Agency (FEMA) announced similar changes. With a government agency pursuing the same goal to update the National Flood Insurance Program (NFIP), it was unclear how the two initiatives would work together. On Monday, Senator Charles Schumer issued a response to FEMA’s proposal while standing in front of a Long Island home with its owners. He said he wants FEMA’s plan, called Risk Rating 2.0, halted immediately until key questions by Congress are answered. How will these new rates be calculated and what is the full criteria considered as part of the calculation? How does FEMA define “logical rating variables” and how many private data companies will be gathering and measuring data – and who will independently peer review such data? Has the agency considered the systemic implications of insurance rates that could spike and the impact on homeowners and property values in vulnerable communities? If so, how would the agency possibly assist homeowners facing unaffordable premiums? What, if anything, will FEMA do to ensure better oversight of insurance companies participating in the NFIP and guarantee that individuals are actually receiving the flood protection from the system they’ve been paying into? Schumer said the explanation for the new Risk Rating 2.0 plan so far is only 221 words even though it goes into effect nationwide on Oct. 1, 2020. Schumer’s main complaint appears to be that FEMA moved forward with a plan, yet did not explain the details and did not consult Congress even though it knew lawmakers were also considering a long-term extension and update for NFIP. “I have long been pushing for the NFIP to be improved, but we cannot try to prop up the program on the backs of Long Islanders, who, under this plan, would likely become the bullseye of back-breaking costs,” Schumer said. 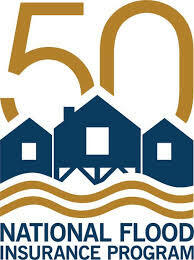 NFIP currently covers approximately 5 million policyholders nationwide.